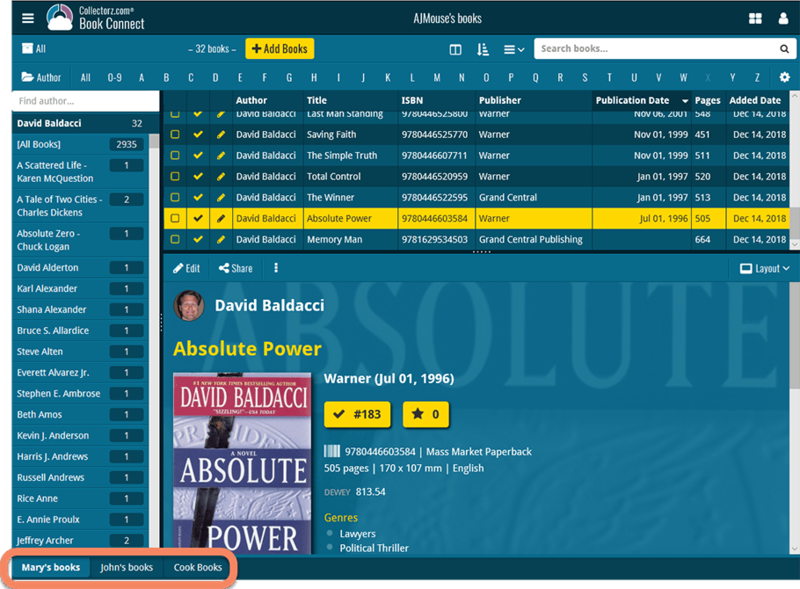 In Book Collector, it has always been possible to use multiple database files and switch between them. However, the CLZ Cloud, the Connect software and the CLZ mobile apps only supported ONE database, so you could only cloud-sync one of them. 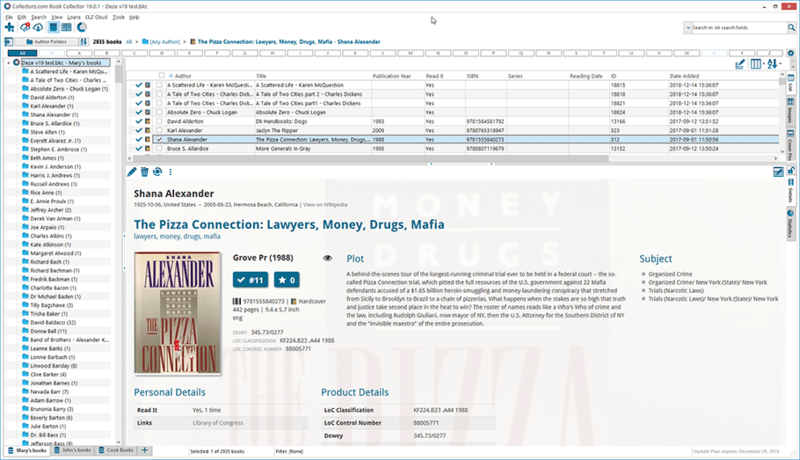 But now, starting with version 19, Book Collector allows multiple sub-collections within one database file. The collections will appear as little tabs at the bottom (e.g. like in Excel), so that you can easily switch between them. Already have multiple database files? 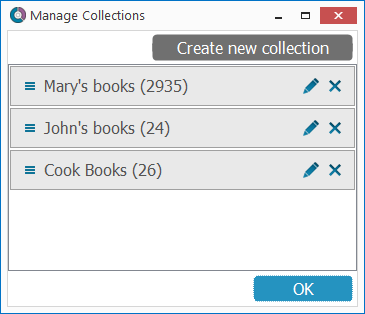 Use File / Import from / Other Database to import them into one master database, as separate collections. 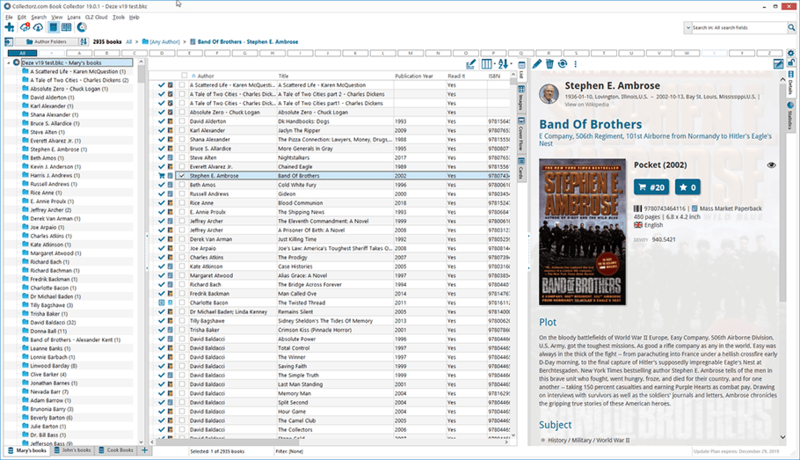 Sync multiple collections to the CLZ Cloud and get collection tabs in the CLZ Cloud viewer too. Note: the CLZ Books mobile app currently does not support multiple collections yet (coming soon!). For now, you CAN sync multiple collections to the mobile app, but they will appear mixed together, as ONE database. Before, if you replace the automatic Core front cover with your own image, it would not automatically sync to the CLZ Cloud and the CLZ mobile app. You had to “force” the upload by right clicking your entry and choosing “Upload to CLZ Cloud”. Which could only be done “one by one”. For version 19 we made this more automatic. We introduced a new checkbox “Custom Image” in the Edit screen. This checkbox will be automatically checked when you replace the Core image, e.g. by using Find Cover Online, by dragging and dropping or by using the Browse button to add a local image. Once this Custom Image box is checked, that cover will automatically sync to and from the CLZ Cloud, no more need to manually do the “Upload Cover to CLZ Cloud” (in fact, that command is now obsolete and has been removed). Also, they will always stay marked as custom, so that even if you clear your cloud and sync everything again, they will re-upload automatically. You can automatically check your database for custom images by clicking menu Tools / Maintenance / Auto Mark Custom Images. A flexible layout that always makes the best use of your available detail panel space, whether it is “wide and low” or “high and narrow””. The new Flex template is available in Dark, Light and Blue styles. Starting with version 19, is now available as a 64-bit version. If you are using a 64-bit Windows on your computer, running the 64-bit version of our software will allow it to use more memory, resulting in a more stable experience, especially for very large databases. Of course, a 32-bit version is still available too. 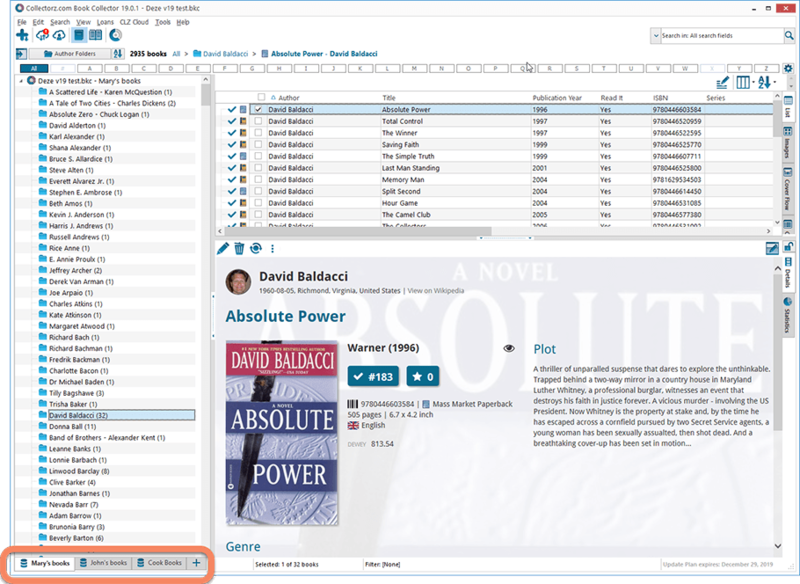 The Book Collector installer will automatically install the 32-bit or 64-bit version, depending on your Windows version.